Living Area: 1578 sq. 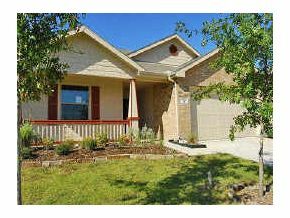 ft.
Adorable Home In McKinney Within Walking Distance To Golf Course. Home Features An Open Floor Plan With Tons Of Upgrades Which Include: Ceramic Tile, Upgraded Countertops, Custom Paint, An Oversized Utility Room, Fireplace And A Nice Covered Porch To Unwind From Your Day, As Well As A Professional Landscape Package, And Sprinkler System. To Top It All Off, The Home Is Energy Star And Eco Smart.